Official promotional poster for the Eric Francis-Neil Tyson debate series. Here is the Neil Tyson segment from Planet Waves FM of Sept. 1, 2015 [link to full program here] Who is right? Astronomers or astrologers? Who is closest to the truth, those wacky medieval prognosticators who lure their clients into giving up control of their lives, or the enlightened, erudite scholars of outer space? This question will finally be settled in the 27-campus Battle of the Stars, featuring Neil DeGrasse Tyson and Eric Francis Coppolino. 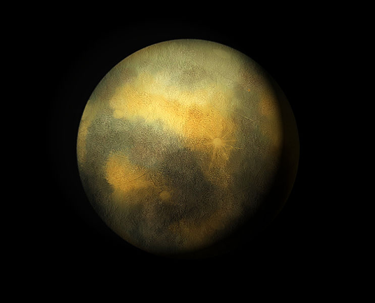 Who knows more about Pluto, astronomers or astrologers? The tour begins Friday evening at Columbia University in New York City, and will proceed through the spring in North America, with the final stop being the University of Toronto. The tour will continue on to Europe through the summer, where students are so intelligent, they insist on going to college even in the warm weather. 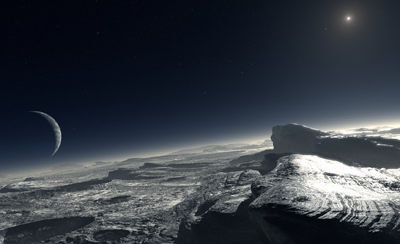 The series will conclude this August in Prague on the anniversary of the demotion of Pluto. The co-moderators of the event will be Nancy Reagan and Dr. Robert Hand, who have worked together for many years as client and astrologer. Before he left the Hayden Planetarium, Tyson taught the projector how to do astrology. Now it’s obsessed. Tickets to Friday’s event at the Columbia University Student Center sold out in 45 minutes. Columbia is Tyson’s alma mater, and he is believed to have the home team advantage. But Mr. Coppolino seemed unfazed. “We will get to Buffalo soon enough,” he said. “There’s a real interest in the topics they’ll be covering,” said Dr. Robert Hand, considered the preeminent American astrologer. He recently earned his Ph.D. from The American Catholic University. He will co-moderate the debate in Latin. 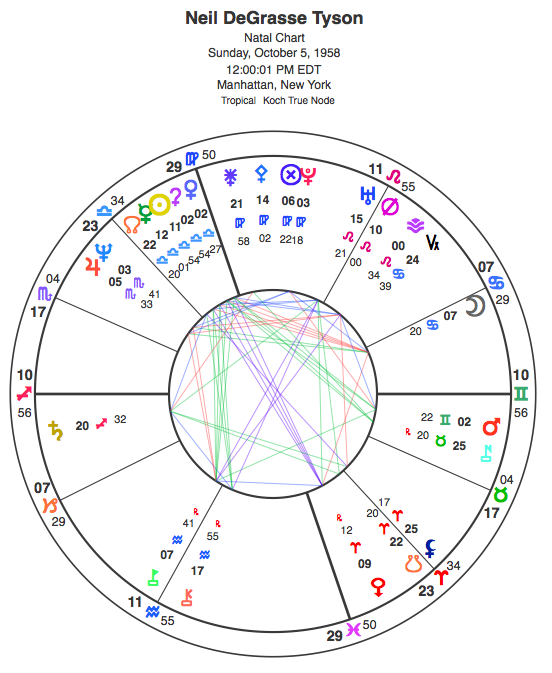 “Astrology and astronomy have been merging gradually since the 1977 discovery of Chiron, and this will make it easier for people distinguish the difference,” Dr. Hand said. To help with that process, Mr. Coppolino’s portable computer will be linked via live satellite feed to the Very Large Array of telescopes in New Mexico, the world’s most powerful radio telescope. During Friday night’s debate, Mr. Coppolino will demonstrate the supremacy of astronomy by discovering a centaur planet, naming the discovery and announcing it to the astronomical world via Twitter. 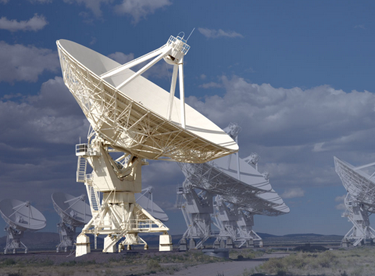 Mr. Coppolino will operate the VLA Telescope in New Mexico live during the debate. Tyson, formerly one of the world’s leading astrophysicists, had a stunning switch from astronomy to astrology two years ago. He resigned his position at the Hayden Planetarium to become national chairman of the American Federation of Astrologers. 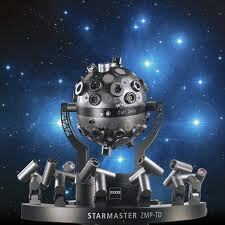 Right before defecting, he taught astrology to the planetarium’s $5.8 million projector. So far planetarium officials have not been able to prevent it from slipping house cusps and the Part of Fortune into planetarium shows. “Pluto was demoted but it’s still very important in astrology,” said Neil DeGrasse Tyson. Mr. Coppolino, for his part, has no credentials in astronomy whatsoever, “except for a bunch of emails with Mike Brown and Jane Luu,” two prominent astrophysicists. He also received a “pass” in Astronomy 101 at SUNY Buffalo, which he took pass/fail.